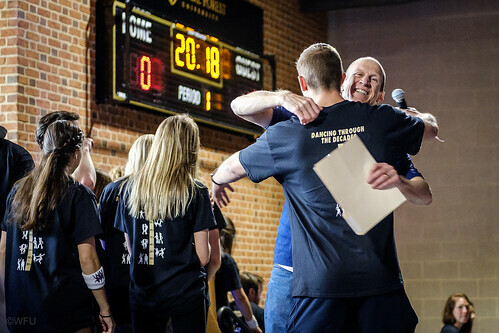 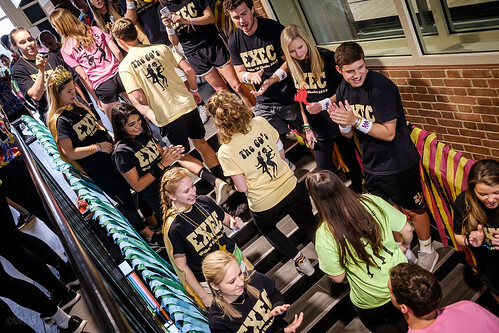 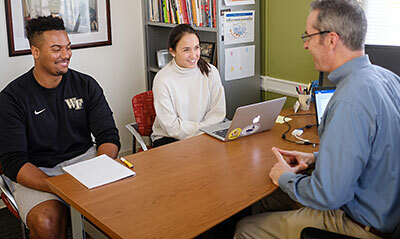 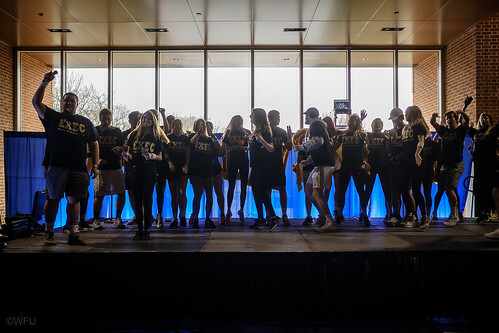 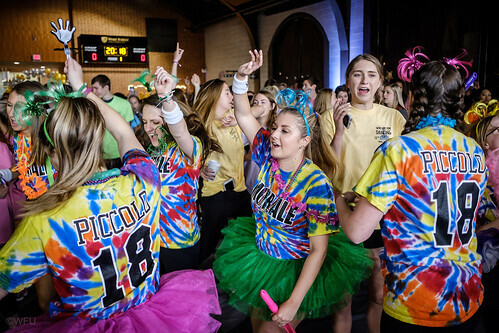 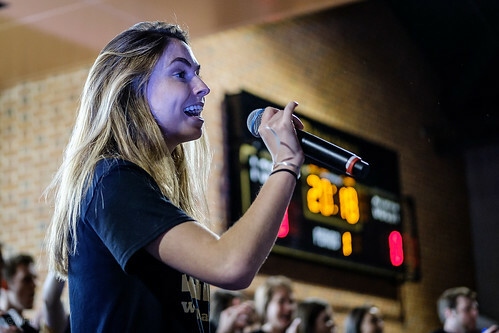 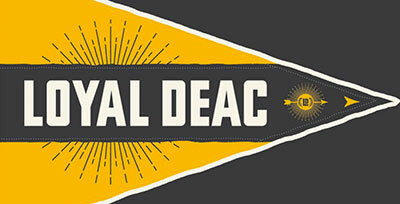 Wake Forest University students lived up to the motto of Pro Humanitate this week while raising more than $500,000 at various philanthropy events on campus. 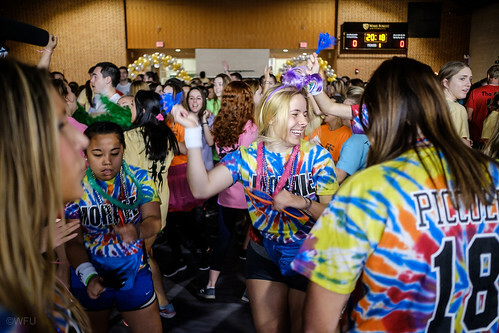 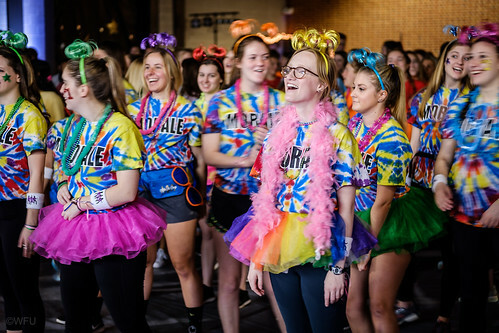 The annual Wake ‘N Shake dance-a-thon raised its highest total yet with $376,730 for cancer research. 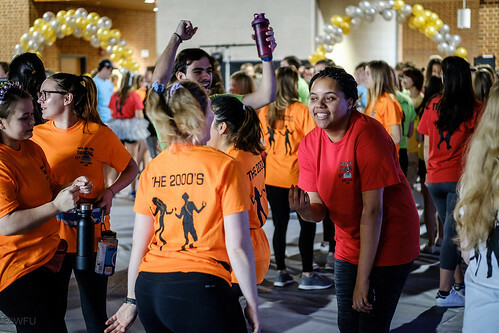 More than 1.400 dancers participated in the 12-hour event while raising money for the Brian Piccolo Cancer Research Foundation. 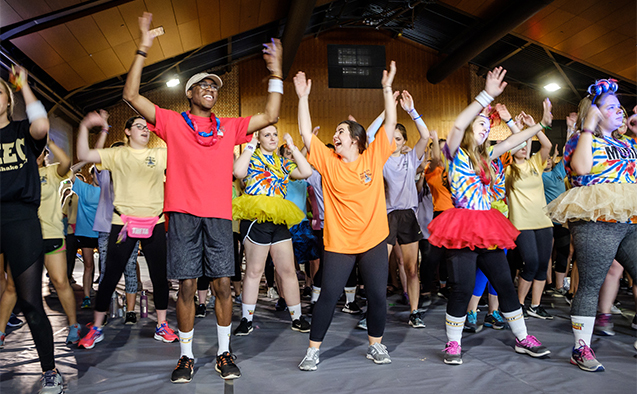 Kappa Kappa Gamma sorority raised $5,000 from Kappa Kaddies, its annual golf tournament benefitting Brenner Children’s Hospital.